My favorite place to hang out when the weather warms up is Common Ground. I rave about this place on all my social accounts. 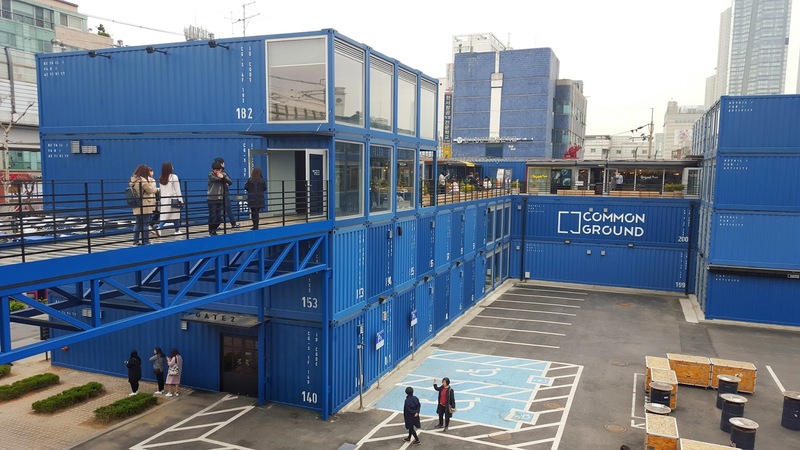 It could be because of the stunning blue containers, but genuinely, this place has awesome food and cafes, and houses some of Seoul’s up and coming designers. 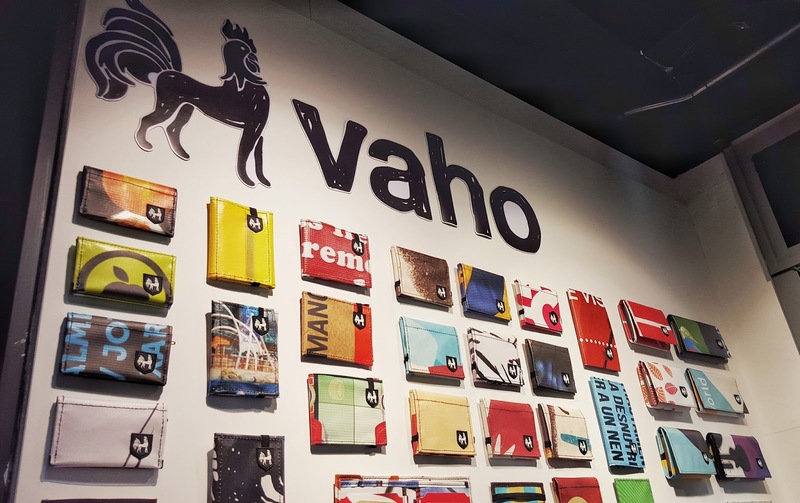 While strolling the shops we came across Vaho and were immediately intrigued by the bright colors and visual merchandising of the store. The owner was gracious enough to answer some questions and we ended up chatting a bit about the business and it’s vision in Korea. 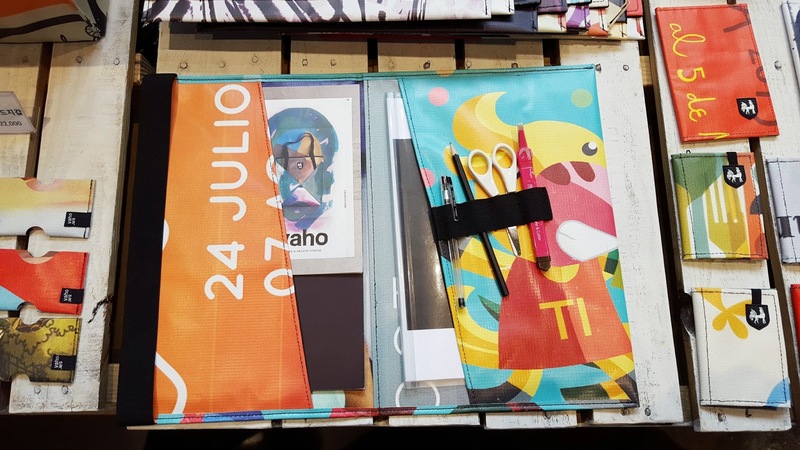 Vaho is a Barcelona based company that specialized in upcycling materials to create handbags, wallets, messengers, and more. 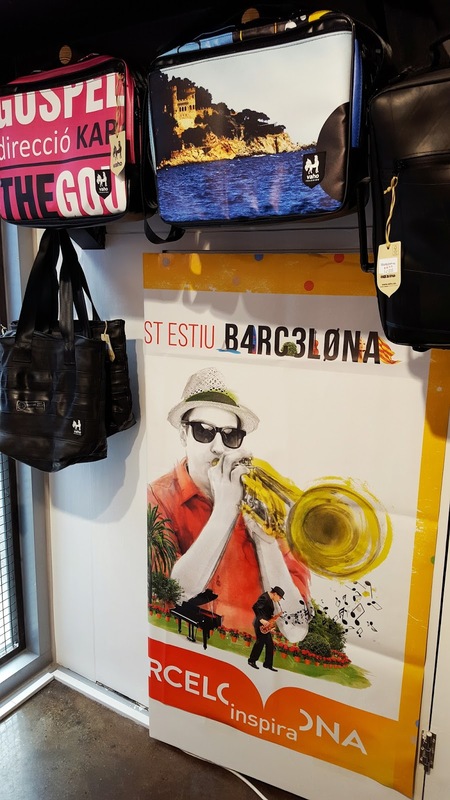 The bag are made from colorful banners you might see lining the streets advertising arts festivals, concerts and events around Barcelona. 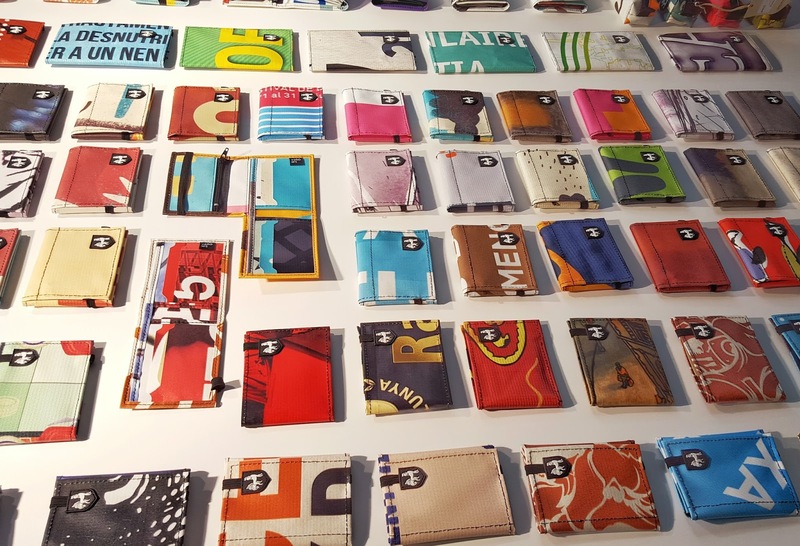 Each item is handcrafted and stitched from unique banners so no two pieces will ever be exactly the same. The banners also feature different textures to add another level of choice when picking a piece you want. 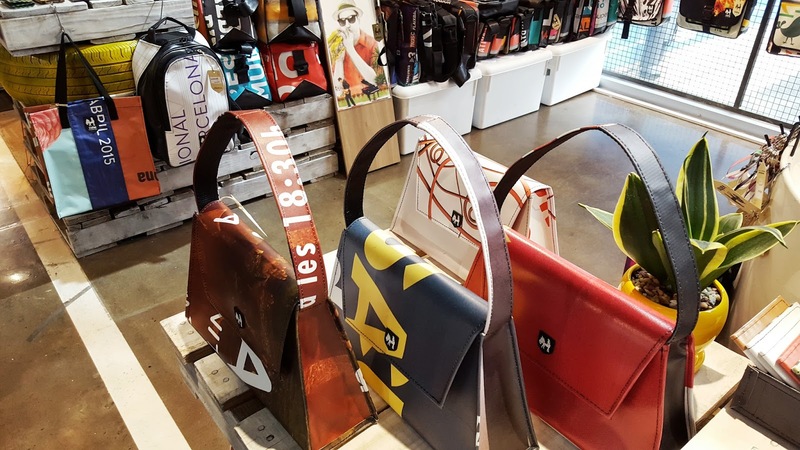 The messenger bags feature straps made from seat belts, and some bags are even made from recycled tire tubes. The shop has only been opened about a couples months and they are the first distributor in Korea. They hope to open more locations as their business grows. 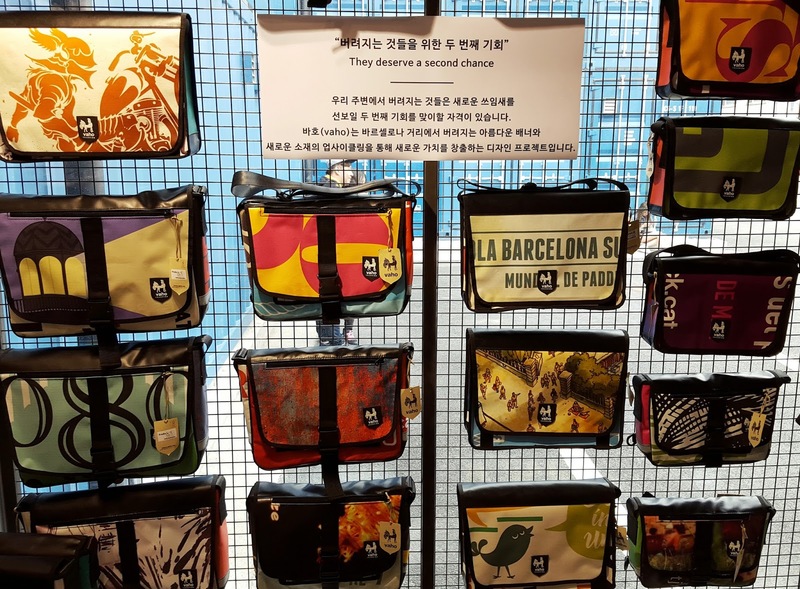 They offer something unique to the accessory market here by showcasing bright colors and one-of-a-kind designs. If you are around Common Ground, stop by and see what Nick is up to. His cheerful personality and willingness to engage with us in great conversation was an unexpected surprise. I love meeting business owners and sharing their stories with my readers. The shop is located in the first complex of Common Ground on the first floor (near the open staircase and indoor hanging plants). When you need a break from shopping, be sure to check out their their food trucks and Alegria Coffee Roasters.